There once was a prince named Iolus. He was a kind and just ruler of his kingdom and was beloved by all. Unfortunately he could not find true love in his kingdom. He heard of a beautiful girl named Glad who was being held captive in the neighboring kingdom by an evil wizard who was forcing her to marry him. Iolus went in search of the beautiful maiden. He came upon the castle of the evil wizard and asked him to teach his magic. The wizard accepted. When the wizard was away Iolus found the maiden and they fell in love at first sight. Holding hands they ran away from the castle. Glad and Iolus were far away when the wizard caught up with them They were turned into a long slender flower with beautiful, delicate, buds. Later people called the flower Gladiolus in honor of the strong love of two hearts who will never be apart." from The Butterfly Jungle. 'Butterfly' Mix is a popular colour combination for mixed colour flowers. 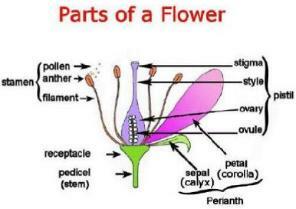 Flowers are multi-colored and marked in bright reds, yellows and pinks. Petals are much ruffled. Plant at least 12 at 10 to 16cm (4-6 inches) deep in fertile, well-drained soil (on sharp sand). As they are tender, lift when foliage dies back, discard old corms and store new corms in a dry frost-free place to re-plant in the spring. In milder areas a thick dry winter mulch may be enough. Please use for sowing Jiffy 7 Peat Pellets, soak them in water and put in a plastic pot. Location: on the windowsill or in a small greenhouse in partial shade, daytime temperatures at about 75-83 F, somewhat lower at night at 68-75 F. The resulting micro-climate provides ideal conditions for germination." from Exotic Plants with its worldwide shipping and its 12 hardiness zones in the US. "So, let's get that corm into the ground. 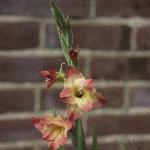 Gladiolus are not very fussy though they do prefer a well-drained site with light soil. If your spot is soggy you may want to consider a raised bed as my experience has been that soggy corms will rot and when they do, they're gross and slimy. 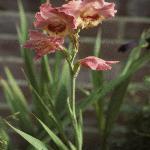 Though you can plant in an area with some shade, your glads will bloom better, bigger, and longer in a full sun location and the corm will be able to store more nutrients for next year's blooms. Glads are generally hardy in Zones 6-10. My mom is still amazed that I don't dig up my glads for the winter here in my Zone 6 garden but she hails from Wisconsin (good Norwegian that she is) and Zones 5 and north are just too cold to winter over. Regardless, a nice layer of mulch is good to add for the winter. Plant your corms 4 to 8 inches deep, pointy end up, and about 5 inches apart. You can plant them maybe two weeks before your last frost date and stagger so you will have a longer show in your garden. 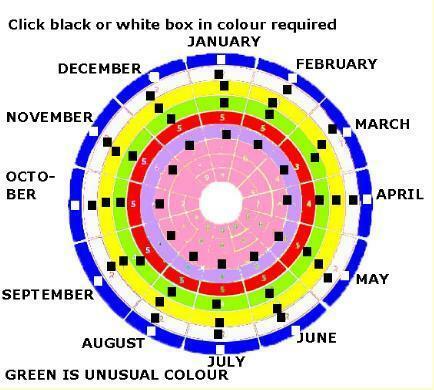 Bloom time is generally July and August. If you are not in a cold hardy area, dig them up in September. Farmer's Almanac says to "cut the stalks to within an inch of the corms, then leave them in a warm, airy location for 1 to 2 weeks. Remove and throw away the oldest bottom corms and store the new corms in plastic, mesh bags in a well–ventilated room. The temperature of the room should be between 35º and 45ºF. Replant these corms in the spring." I remove the dead flowers from my stalks to encourage the blooms further down the stalk to open up. Once all of the flowers on a given stalk have bloomed I cut the stalk back, but not the leaves, which I keep in place to encourage growth and strength of the corms. If you site them well, water when needed, fertile, talk to them and tell them how beautiful they are, your gladiolus may grow up to 6 feet talk. Be prepared with a staking plan. A word of caution- some parts of gladiolus are poisonous if eaten (including by dogs, cats, or horses) and some people experience skin irritations or an allergic reaction after handling glads. Most of the bad-juju chemicals are in the corms. I've seen them rated as a 1 on a scale to 1 to 10, with 10 being deadly, and I suppose if you eat enough of anything it can make you ill. The effects are generally gastro-intestinal in nature. I personally have never had skin reactions to handling the corms, plants, or juicy stuff and neither did my Zippy from the day I took the photo above. But still, it's best to be aware that some folks get skin irritations. But if you send someone gladiolus, just what is it that you're trying to say? Glads symbolize strength, sincerity, moral integrity, generosity, and remembrance. Gladioli also represent infatuation, with a bouquet conveying to a recipient that they pierce the giver’s heart with passion." from the Butterfly Jungle. "G. papilio is a clump-forming perennial to 1m, with narrow, grey-green leaves. From summer to autumn, arching flower stems bear up to ten hooded-funnel flowers, flushed white and lilac-purple on the outside, with purple and yellow markings on the inside of the lower petals. Plant 10 to 16cm deep on a bed of sharp sand in fertile, well-drained soil. Lift when foliage dies back, discard old corms and store new corms in a dry frost-free place until planting in the spring. In milder areas a thick dry winter mulch may suffice. Use in Flower borders and beds, Cut Flowers, Cottage & Informal Garden." from RHS. "Excels in poorer soil types. Plant for architectural effect in borders and beds." from Plants to Plant. "It is native to southeast Africa & doesn't like winters below about five degrees Fahrenheit." from Paghat.